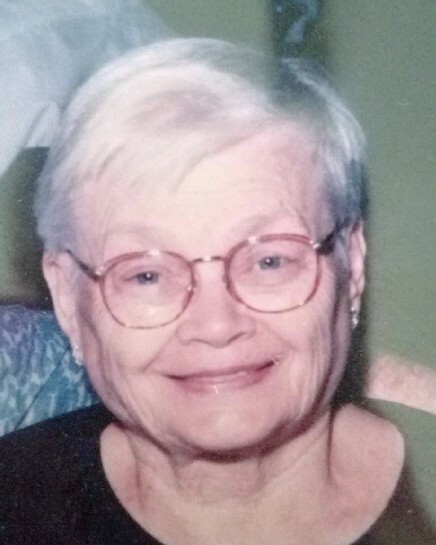 Colene Marie Henry, age 89, passed away on Wednesday, April 10, 2019 at her home in Nampa with her two daughters, Claudia and Kathy by her side. She was born in Seattle, Washington to Waldo and Martha Jones on June 20, 1929. She had two brothers, Gary and Bob. Colene attended public schools and graduated from high school in Seattle Washington. She met her true love, John Earl Henry, in Seattle and was married to him for 70 years. Through their years of marriage, she lived in Seattle, Idaho, Colorado, California and resided in Nampa, Idaho at the time of her death. John and Colene were blessed with seven children; five boys and two girls. Throughout their marriage, Colene was involved in church, attending various Bible studies and raising her seven children which brought her great joy. She loved watching her children grow up, make decisions for themselves and move on to start their own lives. Colene and John loved to dig for old bottles in Leadville, Colorado and had quite an extensive antique bottle collection. She loved to sew, quilt, snuggle with her children and grandchildren, travel in their RV, read and was an accomplished oil painter. Colene lost the love of her life in July 2018 after 70 years of marriage. She missed him greatly and longed to go home to heaven. She suffered several strokes and eventually required 24/7 care. Her daughter, Claudia, a retired RN, with the help of her husband, Brian, stayed with her the last three weeks of her life, caring for her every need. She loved visits and calls during that time from her children, grandchildren, and great grandchildren. In her last week of life here on earth, she was able to see or speak with each of her children and let them know how much she loved them. Colene was preceded in death by her parents and brothers as well as her youngest son, Chad Henry, her son-in-law, Randy Fritzemeier, and her loving husband, John Henry. Her memory will be cherished by her children, John (Sharon) Henry of Medellin, Colombia, Craig (Aurora) Henry of Houston, Texas, Bob (Jane) Henry of Nampa, Idaho, Claudia (Brian) Davis of Nampa, Idaho, Kathy Fritzemeier of Meridian, Idaho, and Matt (Kim) Henry of Kenosha, Wisconsin as well as many grandchildren, great grandchildren and great, great grandchildren. At her request, no services will be held and cremation is under the direction of Alsip Funeral Home. While she will be missed, her family takes comfort in knowing that she is finally safely home, in the arms of Jesus.